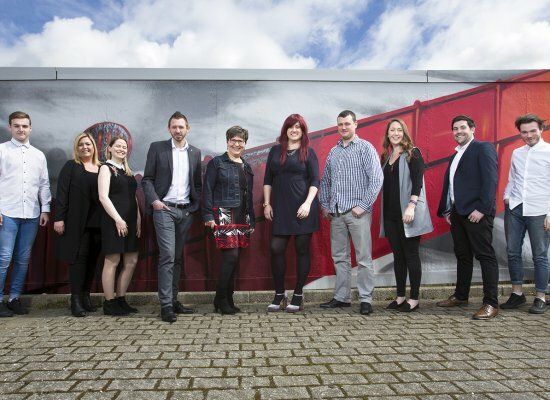 Newcastle Gateshead based creative marketing agency r//evolution has appointed two new managers to its growing team, following a series of client acquisitions including an international tourism brand and national membership organisation. The agency has appointed PR specialist Samantha Wilcox as an Account Manager, joining its busy communications team with a wealth of media experience, and Chris Glancey as an Account Manager working within the rapidly growing online marketing department on behalf of several national brands. The business is celebrating significant growth following numerous wins over the last 12 months, including clients across the tourism, construction, technology, professional service and not-for-profit sectors. r//evolution is once again making waves across the pond, having won a new international tourism account specialising in one of a kind outdoor adventures – further bolstering its destination marketing portfolio. Samantha joins r//evolution with 11 years industry experience, having worked with international clients and on major regional campaigns, both in-house and on the agency side. She's previously worked with well-known brands including NASCAR, Northern Gas Networks, Jennings Motor Group, Sanderson Weatherall and Royal Quays. Speaking about her appointment, Samantha said: "I’m delighted to be joining the team at r//evolution and to be working on such a diverse range of clients and projects, across the UK and internationally. “There have been exciting developments in PR in the last five or so years, with new platforms appearing on a regular basis, but no matter how many options there are to communicate, the key component will always be strong and engaging messaging. Crafting interesting copy and working so closely with the media will always be one of my favourite parts of the job." CIM and DMI Certified Chris Glancey takes the reins as a key part of the online marketing and inbound team, working with clients including Visit Orkney, Communicate, Tyneside Home Improvements (THI) and Wilsonart. Chris, comments: "I’m thrilled to be joining the r//evolution team at such an exciting time. Working with an array of both local and national clients is a challenge I am greatly looking forward to. r//evolution became a HubSpot Agency Partner in 2016 and has seen the inbound area of the business grow substantially in the last 12 months. 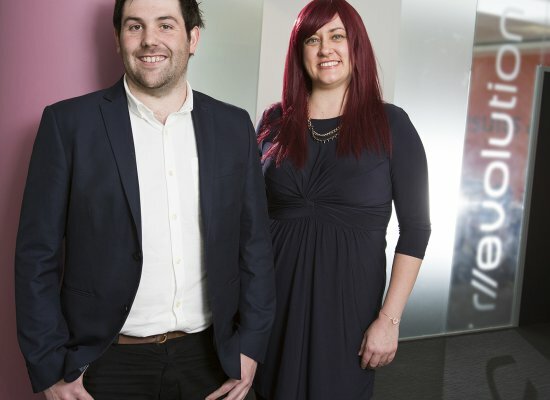 Gill Burgess, Managing Director at r//evolution, said: "We're delighted to welcome both Samantha and Chris to our team. With our growth-focused service resonating with businesses across multiple sectors, it's vital that we continue to bring in fresh, creative talent so that we can provide the very best marketing solutions for our clients. "We were pleased to win a Silver Chartered Institute of Public Relations (CIPR) Award for Outstanding Public Relations Consultancy last year, so it's great to welcome Samantha to the business as we continue to deliver impactful campaigns across the UK. "The inbound side of our business is growing rapidly, and we're delighted to be using our HubSpot Agency Partner status to help so many businesses to meet their scale-up ambitions. Chris is highly skilled, and we are pleased he'll be bringing his meticulous attention to detail and creativity to our clients’ projects." Based in the Northern Design Centre, r//evolution was shortlisted for five CIPR Awards in 2017 including Outstanding Public Relations Agency of the Year, Regional Campaign of the Year, Integrated Campaign of the Year, Consumer Campaign and Outstanding Young Communicator of the Year. It was also part of the Entrepreneurs Forum's inaugural Scale Up programme in 2017.